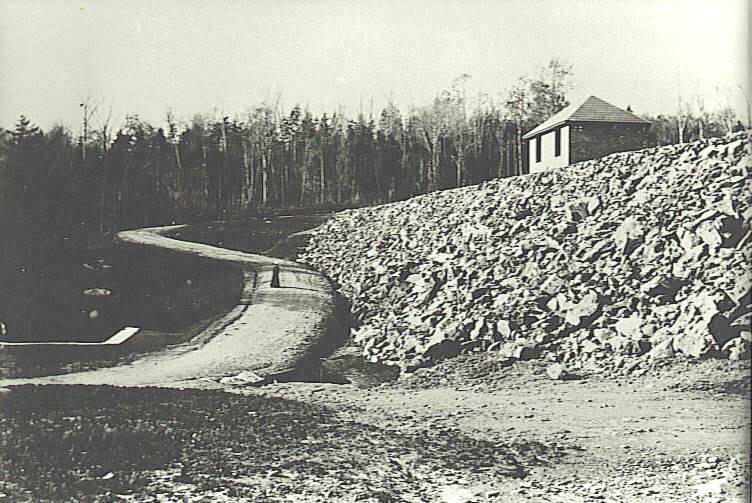 Chittenden Power Company began building the reservoir in 1900. 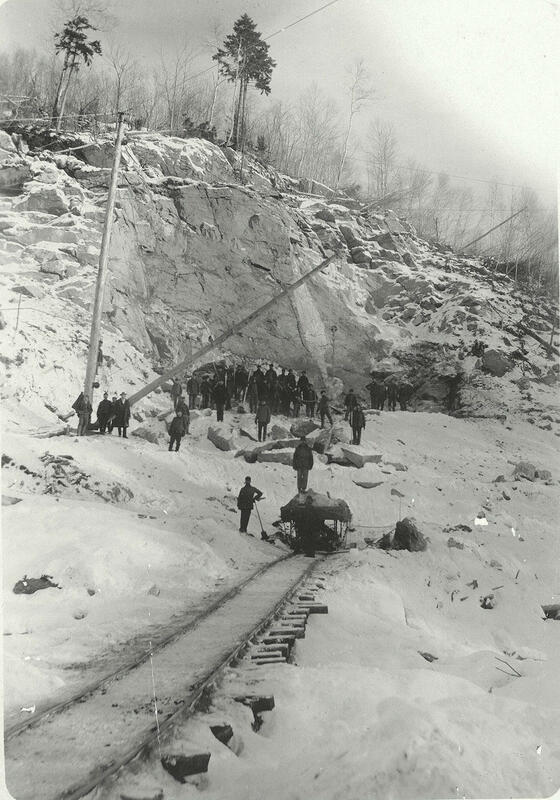 Due to delays, the dam and spillway weren't completed until 1909. This photo shows a completed core wall and work in progress on the gatehouse. Kayakers love the quiet beauty of the Chittenden reservoir, a 750-acre waterway surrounded almost entirely by national forest. On Saturday, Green Mountain Power, which operates the dam there, will host its annual clean-up day and local historians will be on hand to talk about how the hydroelectric facility came to be. 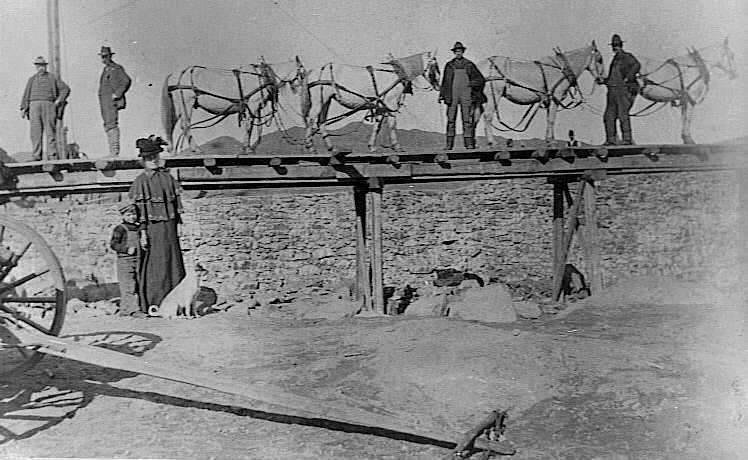 Horses stand on an elevated rail line between the dam wall and the quarry. Karen Webster heads the Chittenden Historical Society. She says a local woman named Lena Osgood took wonderful photographs of the town back in the late 1800 and early 1900s. 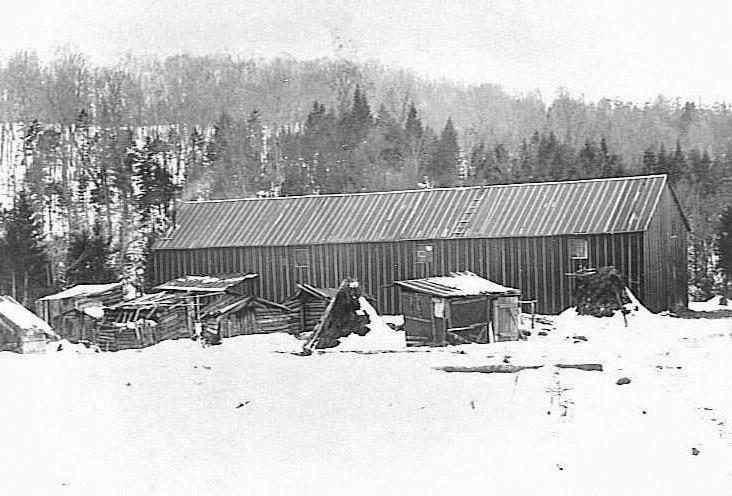 Several capture what the area looked like before the Chittenden Power Company began building the reservoir in 1900. Only one family had to be relocated from the meadow that became the Chittenden Reservoir. They were bought out and moved to a different location. Photo circa 1895. Only one family had to be relocated, says Webster. They were bought out and moved nearby to higher ground. But building the dam wasn’t easy. At one point there were 200 workers working on the dam, many from Italy and Sweden. One worker, a Swede named Lewis Aberg was killed, says Webster, crushed by a bucket of stone. Pointing to several photographs taken during construction, she says conditions were harsh. "They thought it would take three months to build. Instead it took nine months, and it went through the winter, and it was a tough winter," says Karen Webster, who heads the Chittenden Historical Society. Financial problems and change in ownership caused delays as well. Webster says the dam and spillway weren’t completed until 1909. The nearby power station wasn’t finished until 1914. 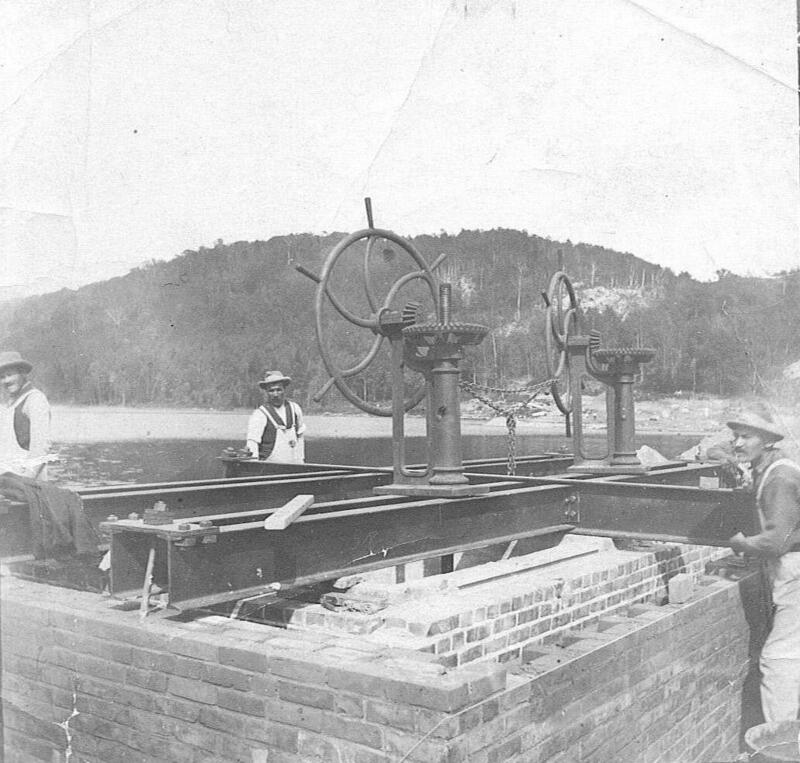 Men put in gates to control the water flow of the dam. While there was concern the dam might give way during the flood of 1927, it held. Webster says it wasn’t until 20 years later, when heavy rains hit in 1947, that calamity struck. While there was concern the dam might give way during the flood of 1927, it held. 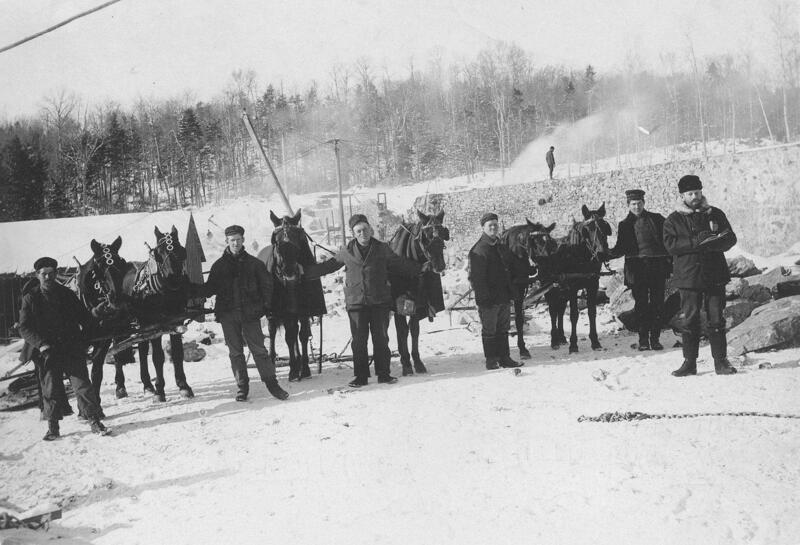 In order for the rocks to be transported to the dam site quicker and easier for both men and horses, the Adams Company, built its own small railroad about a half mile long from the quarry to the dam site. While the dam held, Webster says the flashboards gave way, allowing excess water to surge down East Creek and into the East Pittsford pond breaking the dam there and flooding Rutland. "The good news is that not a single person died during this. There was a lot of hardship because of it, but no one was killed," Webster says. Rutland filmmaker David Giancola had fun imagining a scenario where the Chittenden Dam actually did burst in his 2003 movie, Killer Flood: The Day the Dam Broke. Thankfully, the water gushing through downtown Rutland in the film was computer generated. Today, most of the excitement at the reservoir occurs when someone spots a moose. Green Mountain Power’s Reservoir clean-up will run from 10 a.m. to 2 p.m. on Saturday, Oct. 4. 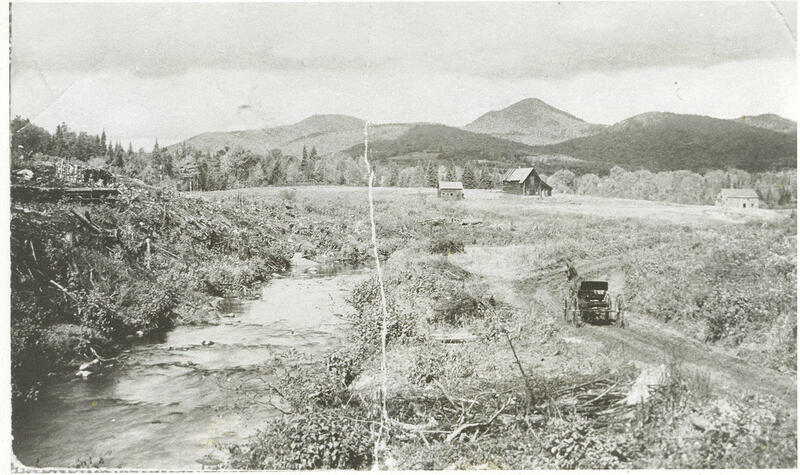 One of the biggest changes to Vermont’s landscape came in the middle of the last century with the construction of the Interstate Highway system. If you’re zipping down Interstate 89 today, it might be hard to visualize what the state was like without it.